One common reaction to Edward Snowden’s exposure of the National Security Agency’s pervasive surveillance of Americans and people around the world has been: Well, at least they aren’t doing what US government agents did in the 1960s and 1970s – targeting dissident political activists, spying on and disrupting their constitutionally-protected activities, and seeking to discredit them with programs like Cointelpro. Except they are, as it turns out. The latest revelations and newly-released documents, detailed by Glenn Greenwald in a shocking piece for his new outlet, The Intercept, show that’s exactly what they’re doing. 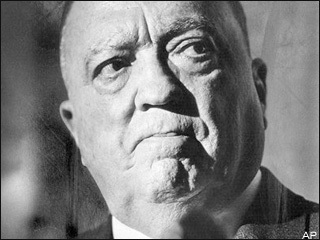 Whereas J. Edgar Hoover’s FBI used old-fashioned methods – primitive bugging devices, poison pen letters, and physical infiltration of "suspect" groups – today’s Thought Police use the Internet to, as Greenwald puts it, "control, infiltrate, manipulate, and warp online discourse, and in doing so, are compromising the integrity of the Internet itself." In a presentation by the British spy agency GCHQ to the NSA, and the Canadian, Australian, and New Zealand intelligence agencies, the top-secret JTRIG unit instructed their allies in the methodology of targeting and destroying political dissidents, and countering their influence on the Internet. Their approach is oh-so-"scientific," citing social science theories about human motivation, giving the whole document the aura of an academic study – albeit one written by someone with a sensibility that veers from the playful to the downright sinister. The goal of this covert action program is to create what GCHQ describes as "cyber-magicians," who can work their "magic" on the Internet and their designated targets – and indeed the presentation is illustrated with a photo of John Mulholland, the renown "magician" who was hired by the CIA in the 1950s to write a manual on the uses of "misdirection, concealment, and stagecraft," as Noah Shachtman put in it Wired. Also pictured are Jasper Maskelyne, a British stage magician of the 1930s recruited by British intelligence, and Jean Eugène Robert-Houdin, who is noted for his "1865 mission on behalf of Napoleon III to help quell the Marabout-led uprising in Algeria." Interesting that GCHQ and their American and other partners would identify with Napoleon III and his mostly unsuccessful attempts to plant the French flag far and wide. In the Algerian case, however, he was relatively successful: the Arab rebels, it seems, had been inspired to rise by religious figures, charismatic imams supposedly capable of performing magic. The French decided to out-do the imams with some magic tricks of their own, and so they brought in Houdin, who performed the old bullet-between-the-teeth stunt. This supposedly so impressed the rebels that they became too afraid to go on with their rebellion – although the horrific slaughter inflicted on Algerian villages by occupying troops may have had something to do with it as well. This unrestrained violence, while motivated by the usual racism, was also a manifestation of something new. Edward Burke III, professor of history emeritus at the University of California, Santa Cruz, traces it to the anti-clericalist legacy of the French Revolution. The wholesale destruction of the rebels’ religious and ideological infrastructure – which Burke refers to as "the French kulturkampf in Algeria" – was "a Jacobin step toward the diffusion of reason and science." Utilizing the techniques of the social and psychological "sciences," our "cyber-magicians," in waging their cyber-kulturkampf, see their targets – us – the same way 19th century French colonialists viewed their Algerian helots. If you look through the slides published by Greenwald the theme is crystal-clear: human beings are depicted as emotion-driven easily-manipulated idiots who have to be fooled into behaving properly. How to fool them? In 19th century Algeria it was Houdin awing the natives with magic tricks: in the online world of the 21st century, it’s "cyber-magicians" planting "false flags" – posts attributed to the target that were not written by him or her. Or posts ostensibly by people who are members or sympathizers of a targeted group. This is what the FBI did to the antiwar movement of the 1960s: entire "cells" of radical groups were set up and controlled by the feds, who then used them to divide, disrupt, and discredit rising antiwar sentiment. Another GCHQ ploy: what Greenwald calls "fake victim posts," in which alleged victims of the target describe their victimization at the hands of the targeted individual or group. This technique seems to have been used to great effect against Julian Assange and WikiLeaks, who have racked up a record number of "tell-all" books and articles by former associates relating Assange’s alleged sins. Anything is possible – and everything is permitted – with the kind of "cyber-magic" performed by our government sneaks: if you want to discredit a target, you can "set up a honey-trap" – a sexual assignation – or if you’re in a juvenile mode you can "change their photo on social networking sites." And there’s always the old tactic of sending "emails/texts to their colleagues, neighbors, friends, etc." Again, there’s nothing new under the sun as far as the immorality and cheap vulgarity of our rulers is concerned: they did the same thing in the 1960s to Martin Luther King and a host of other civil rights and assorted "radical" figures, the only difference being they used the Post Office rather than email and texting. The technology may change, but the venality is a constant. Of particular interest to GCHQ and its eager students at the NSA are techniques designed to "pull a group apart." Listed as likely points of rupture are issues of "personal power," "preexisting cleavages," "competition," and "ideological differences." Again, these are old techniques empowered by new technology and gussied up in the pseudo-"scientific" language of sociology and behavioral psychology. What’s new, however, is the nature of some of the targets: it’s not only high profile political dissidents like Assange (and Greenwald) alongside criminal suspects who might find themselves in the sights of GCHQ/NSA, but also private companies, as explicitly stated in the new documents. Suggested covert actions against these corporate targets include leaking confidential information to rival companies and the media "via blogs, etc. ", and posting "negative information in appropriate forums," resulting in stopping the target’s business deals and ruining business relationships. Given the amount of purely industrial espionage detailed in previously released documents, the scope – and cost – of this destructive rampage across the corporate landscape by our vaunted "cyber-magicians" is absolutely mind-boggling. The new documents describe a "cyber-offensive session" by two GCHQ officers on "Pushing the Boundaries and Action Against Hacktivism" which does indeed push the boundaries very far beyond the ostensible purpose of "fighting terrorism." The fine line between "hacktivist" and any sort of online political activism is not one likely to be precisely defined by these people: Julian Assange’s and Edward Snowden’s defenders, as well as those two individuals themselves, are fair game in this grand scale "cyber-offensive." And what about the corporate entities enabling these revelations to come out in the first place? Pierre Omidyar, the financial force behind First Look Media, which puts out The Intercept, is a principal of eBay, and has a financial interest in other companies. Will those companies now find themselves under attack? Will confidential information sucked up by the NSA "leak" onto various blogs and into the media? Speaking of the media, this whole covert action program assumes easy access on the part of government agents to sympathetic contacts in the "mainstream" news and opinion outlets: it posits a ready consumer base of "journalists" hungry for a constant diet of smears, "false flags," and compromising material. And we can all guess as to who some of them might be…. Cass Sunstein, President Obama’s close advisor and head of a commission to "reform" the NSA, has long advocated infiltrating online communities devoted to supposedly dangerous "conspiracy theories," and otherwise steering online discourse in a more pro-government direction – and it looks like his ideas are being put into practice. The new documents promise a "full rollout complete by early 2013," with "500+ GCHQ analysts" on the job – and how many from the NSA and US law enforcement agencies? So let’s be clear about this: individuals, groups, and private companies accused of no crime are having their reputations destroyed, their private lives exposed and their financial affairs disrupted by a government-orchestrated smear campaign extending all across the globe. If that doesn’t unmask our rulers as the ruthless authoritarians we libertarians always said they were, then I don’t know what will. Behind the mask of "democracy" and "progressivism" lurks the same old ugly face of a J. Edgar Hoover, only updated to look like the dome-headed professorial Cass Sunstein. I’m too tired, and disgusted by the above to write the requisite fundraising pitch, reminding you that we have yet to make our fundraising goal. So I’m just going to say: you see what we’re up against. These people are worse than scum. And we know for a fact they’ve been "investigating" Antiwar.com, specifically this writer and our webmaster, Eric Garris. Can there be any doubt as to how much we need your help – and why?